Hours before the show was to start, UFC lost its main event for Saturday's UFC 234 event in Melbourne, Australia. 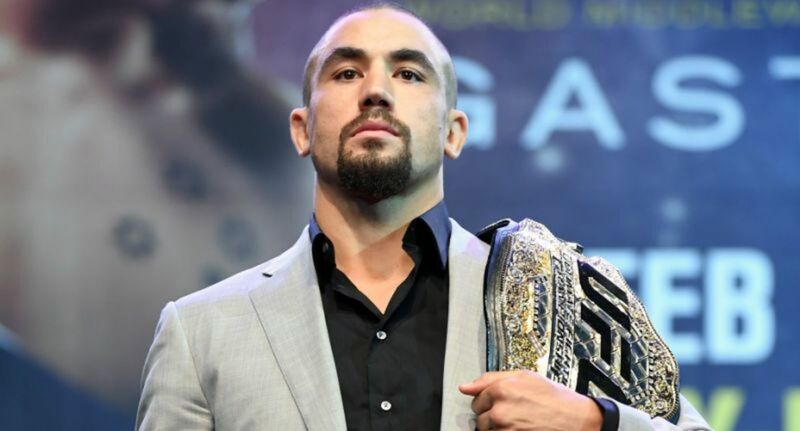 UFC middleweight champion Robert Whittaker has been forced out of his scheduled title defense against Kelvin Gastelum due to a hernia in his abdomen as reported by ESPN's Brett Okamoto after confirmation from UFC president Dana White. Okamoto said Whittaker started suffering pain Friday night around midnight but that the issue wasn't weight cut related. Ariel Helwani added he started getting cramps and bloating last night and began vomiting at 10 PM, was taken to the hospital at 2 AM, and is having surgery as of this writing. Israel Adesanya vs. Anderson Silva will now take the main event slot in a three-round fight with Lando Vannata vs. Marcos Mariano moving into the co-main event slot. The early prelims will be on UFC Fight Pass with the late prelims set for ESPN. It's an unfortunate set of circumstances for the Australian native as UFC 234 sold out in eight minutes on the heels of him making a title defense in his home country. He originally was scheduled to headline a show in Perth last February in a title defense against Luke Rockhold, but had to pull out due to what later was disclosed as a staph infection in his stomach. Whittaker won the interim title over Yoel Romero in July 2017 and was promoted to undisputed champion in December 2017 after George St-Pierre vacated the title. He rematched Romero last June, but it was a non-title fight after Romero missed weight. Josh Nason contributed to this report.